Love over floweth with this endearing Aaron Basha charm. The luminous 18kt white gold is shaped into a heart while luxurious white diamonds completely adorn the piece and sparkle delightedly. 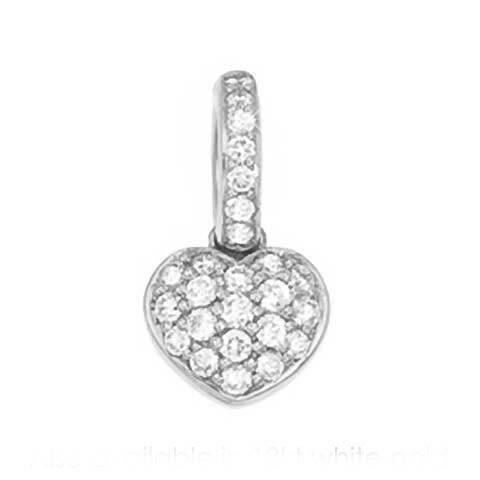 Show the woman that holds your heart how much you care with this fabulous Aaron Basha charm.